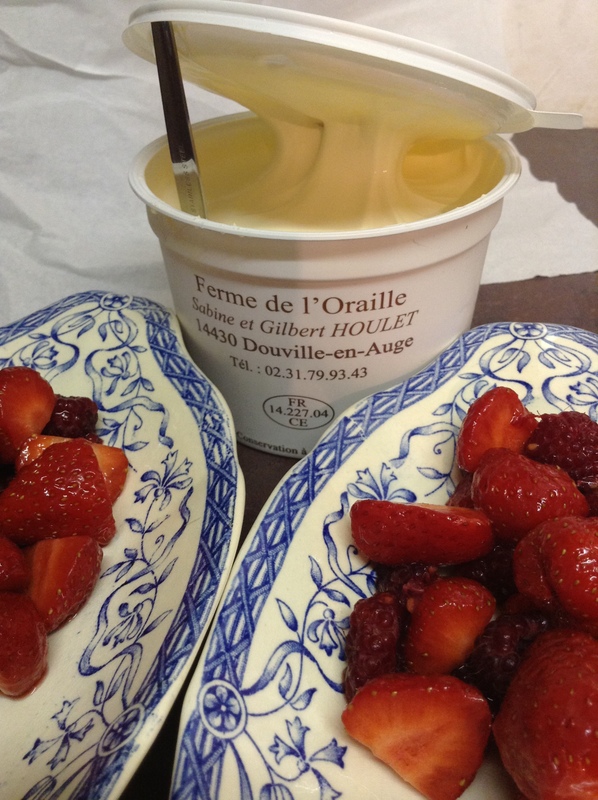 I miss the gooey Crème Fraiche that we could buy straight from the Cremerie or Farmer’s Market stalls in Normandy. It had a marshmallowy consistency and a slightly yellow tinge, due to the use of unpasteurized milk. Unless we decide to do some ‘clandestine cow-milking’ under the cover of night, we won’t be able to get that funky, unpasteurized milk in North America. But c’est la vie and you find a way to keep on keepin’ on. So I found a recipe in a Julia Child video about how to make Crème Fraiche at home and it’s the gift that keeps on giving. Just like bread dough ‘starters’ you can keep growing in your cupboard, or the ‘Mother’ that will continually ferment leftover wine into vinegar for you, reserving the last couple tablespoons of this Crème Fraiche and starting the culture again, will allow you to have a continual supply! Amazing! 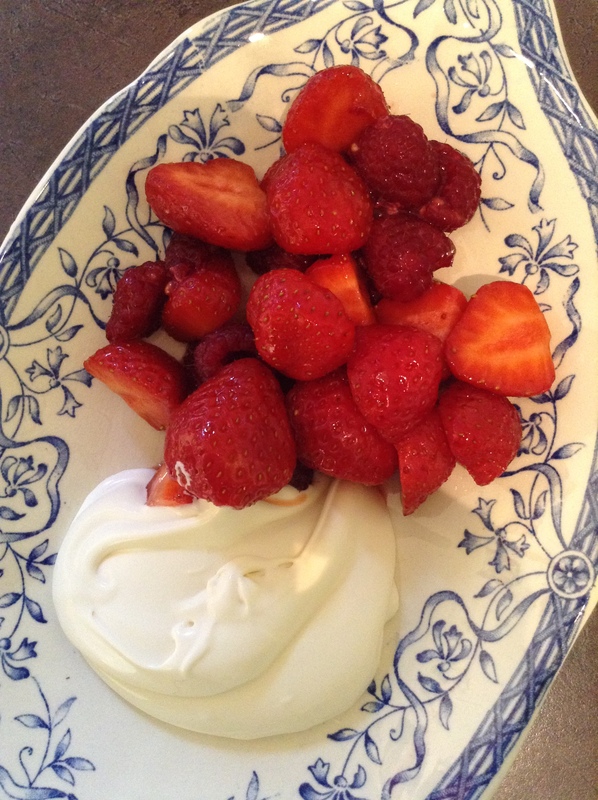 Crème Fraiche can be used alongside most deserts (a large dollop with fresh berries, for example) or in place of sour cream or Mexican cream, in most recipes. One of my favorite snacks is a slice of bread or pita topped with a dollop of crème fraiche, capers, red onions and smoked salmon. Heat the ingredients until you’ve just removed the chill. 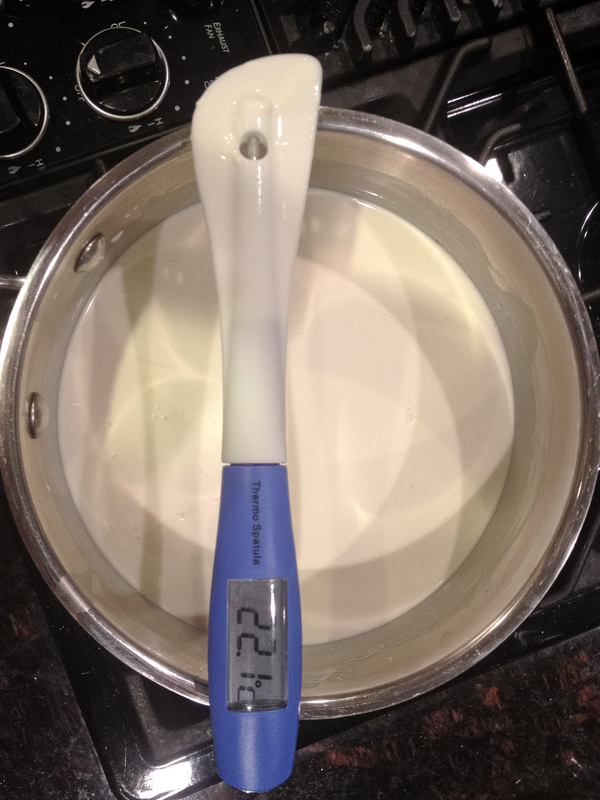 Either keep your finger in it so it doesn’t get too hot or use a thermometer and get the mixture just to 80ºF/27ºc. Pour it into a glass (non-reactive) casserole dish, cover with a dishtowel and let it sit out until thickened (a warm, draft-free place like the microwave or oven works well, for 12-16 hours), then refrigerate. I like to spoon it into mason jars or re-used glass jars and it will keep for 10 days in the refrigerator. 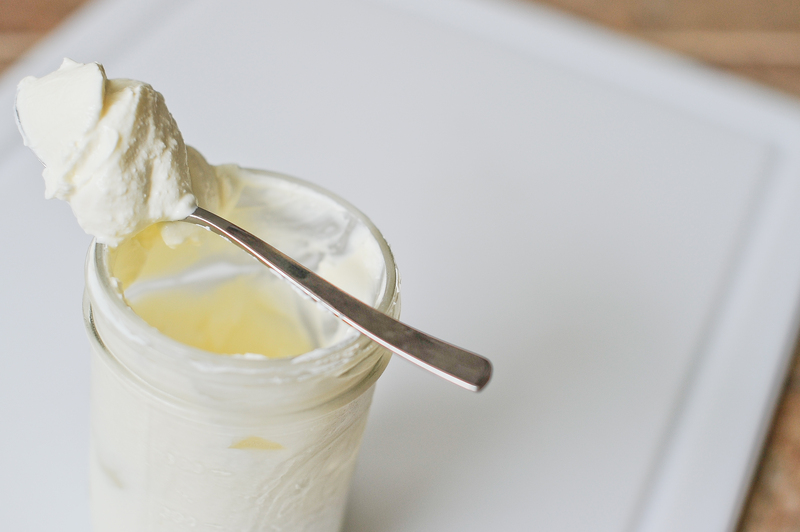 Towards the end of 10 days, reserve any unused Crème Fraiche (yah, right!?) to start the next culture. I used 1 cup leftover Crème Fraiche & 3 cups heavy cream (actually I used 1 1/2 cups heavy cream and 1 1/2 cups half & half, because that’s what I had in the fridge). I think I was able to use less culture and more cream because of the active, good bacteria that I had developed in the first batch. Also, the second batch is a little closer in taste to the French stuff, so maybe as you cultivate your own bacteria culture it gets a little ‘funkier’ in taste. Interesting! Tags: bacteria, berries, cream, creme fraiche, culture, dessert, ferment, half and half, healthy bacteria, heavy cream, homemade, julia child, mexican cream, milk, mother, pasteurized, salmon, sour cream, unpasteurized, whipping cream, yogurt. Bookmark the permalink. 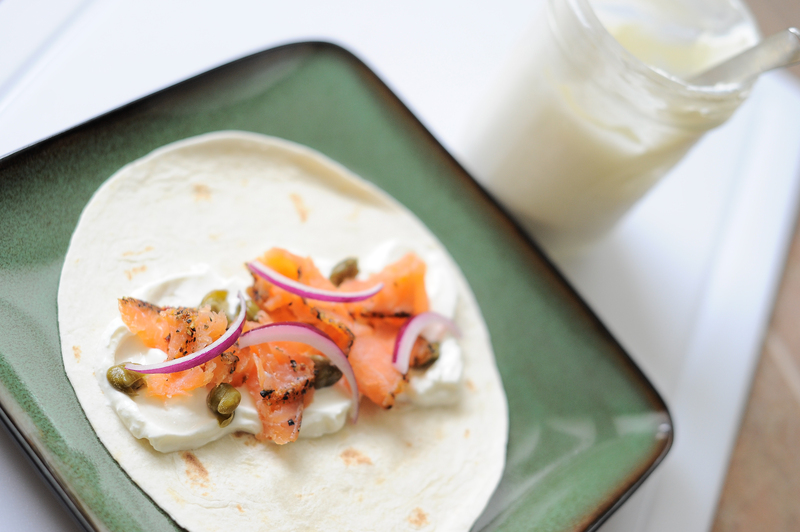 LOVE crème fraiche with capers, red onions and smoked salmon! This looks easy enough – gonna try it! Thanks, Lacey And please tell Ferg that I enjoyed his suitcase post!